← T is for Taco Party. Happy Birthday Uncle Bob (Evans)! 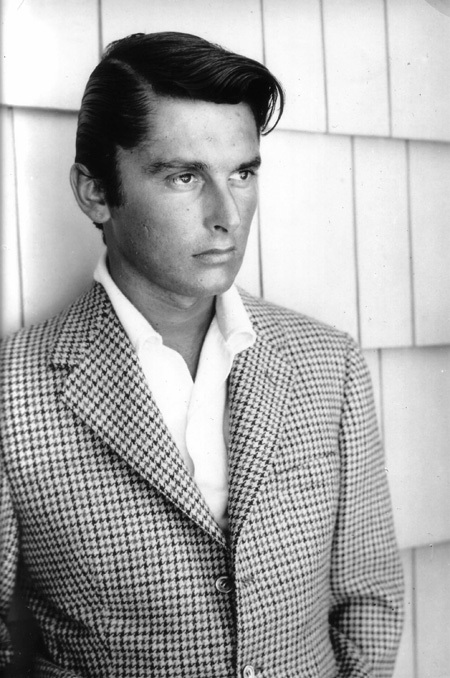 Robert Evans worked in fashion at his brother’s company, Evan-Piccone, before being discovered by actress Norma Shearer by the pool at The Beverly Hills Hotel in 1956. Evans then become an actor – albeit not a very good one, and turned to producing films including Rosemary’s Baby, The Godfather, Love Story and the original True Grit. Evans took over as head of Paramount Studios (thanks to Charlie Bluhdorn) and raised their rank from 9th place to number 1 despite his inexperience. He was married to Ali McGraw (and many others) and is my personal hero. Evans is currently developing a film about the life of auto executive John DeLorean. He also produces an animated series and has a radio show on Sirius FM called In Bed with Bob Evans. This entry was posted in Uncategorized and tagged Ali McGraw, Bob Evans, Charles Bluhdorn, Paramount Studios, Producer Robert Evans, Robert Evans turns 81, The Kid Stays in the Picture. Bookmark the permalink.